Iceland announced the end of their fin whale hunt this week, reporting a total catch of 137 whales. The company Hvalur hf, the only one in Iceland that still whales, said that the season was shorter this year due to inclement weather, though the total is still higher than last year's catch. Whaling, which was banned by a global moratorium set forth by the International Whaling Commission in 1986, has been a source of contention for Iceland in recent years. Just this month, a coalition of 35 governments expressed their opposition to the country's program. In a formal diplomatic protest known as a démarche, the 28 EU member states and the governments of the United States, Australia, Brazil, Israel, Mexico, Monaco and New-Zealand called on Iceland to respect the moratorium. "Fin whales and minke whales are listed under the Convention on International Trade in Endangered Species of Wild Fauna and Flora (CITES) Appendix I ... and we remain extremely concerned with Iceland's reservation, entered in 2000, for these and other cetacean species." The fin whale hunt has been called particularly worrisome, considering the fact that the species is listed as endangered by the IUCN. Iceland has defended its hunt as "sustainable" in the past, arguing that its catch has little effect on the overall population. 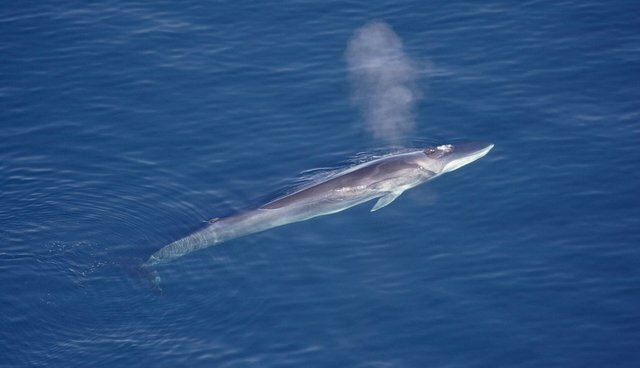 But the designation of "endangered" means that a species' numbers have declined by more than 70 percent over the last three generations - meaning that fin whales are in a rough state. Along with Norway and Japan, Iceland has been skirting the IWC ban for years, despite reports that international whale meat demand is waning - there are even accounts of meat piling up in freezers, uneaten.